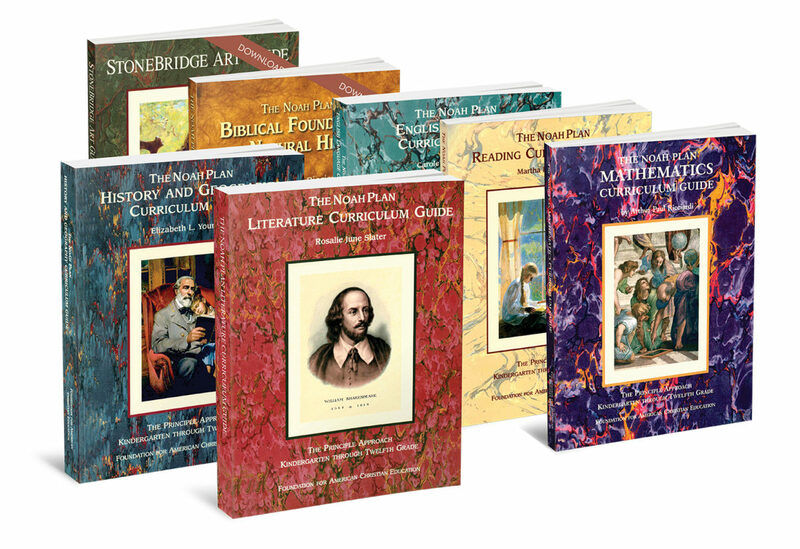 The Foundation for American Christian Education presents the evidence of America’s Christian history as a blueprint for restoring to America its literacy, free-enterprise economy, honesty, morality and conservative Christian mind-set and values. Using The Noah Plan® curriculum, the Foundation believes that education will enable succeeding generations to reclaim the character and Biblical principles needed to sustain our constitutional republic and liberty with law. The Noah Plan is the educator’s tool to inculcate, instruct and impress upon the minds of students principles that will prosper a great and free United States of America, and enable the Gospel to reach the ends of the earth. Education that teaches the Truth of the Word of God produces true liberty as it is applied in all life and learning. Truth is the source of the principles. The Noah Plan curriculum, designed to educate the whole person on Christian principles, identifies Biblical principles in every subject. Through implementing the Principle Approach methodology, The Noah Plan will restore Christian principles to the classroom. The education of one generation will be the philosophy of the next. Abraham Lincoln states here that the source of any government is an educational doctrine. Our nation is now reaping what was sown through its system of education. The extraction of the Word of God from the classroom and from public policy established ideals contrary to the principles upon which our nation was founded—resulting in the rejection of absolute truths. Now, our American government is intentionally and purposefully building an amoral, anti-Christian society, which darkens and threatens us today. Its programs undermine families, waste the potential of our children, destroy our unborn, eradicate character and productivity and scorn God. The education of the day has made us number one among our peer nations in violent crime, divorce, illegal drug use, teenage pregnancy and illiteracy. Our hope is in the next generation. It is imperative that we educate our children in Biblical principles and teach them to reason. The Noah Plan is the Principle Approach curriculum teaching the philosophy of life and the principles that make a reasoning, Christian citizen, who bases decisions on a Biblical worldview. Learn more about the Noah Plan Curriculum and to save up to 35% off, click here.